On an average Monday afternoon, our Twitter account was set abuzz. 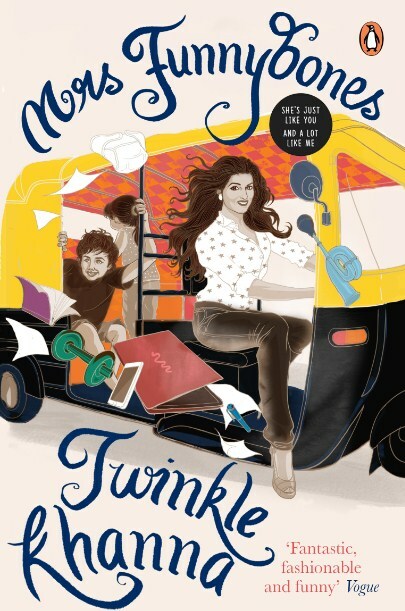 Bookworms welcomed our columnist-turned-author Mrs Funnybones aka Twinkle Khanna, with a whirlwind of tweets. For those who missed this #VerveBookClub, we have documented the best of it all for you. Read up and enjoy! 1. What got you to write a book from a column? It was an organic process – I wanted to write a somber book first. 2. Anyone funnier than you at home? No one, hopefully, otherwise they would be writing this. 3. Any specific reason for writing the book now? Why not before or after a few years? I had planned to write after all my hair turned white, but fate had its own game going on. 4. Why the name Mrs Funnybones? I guess my bones are a bit funny, and have broken several. 5. Do you crack up on your own jokes when no one is looking? I do crack up while writing – sometimes late at night. 6. Why do you think we need a book that exemplifies the modern Indian woman? We don’t need anything including deodorant, but it’s nice to have things that make life pleasant and fun. 7. Does your funny streak solve your problems or add to it? If I am not careful it adds to it – I get into awkward situations quite often. 8. What was the most interesting thing that happened while you wrote this book? I discovered the things that meant the most to me in my life, because I had to examine each bit. 7. What do the prodigal son and Mr K think about being called so in your writing? They seem rather chuffed – the baby is the one I have to watch out for – matches me word for word. Get some mud, throw some mulch, a few old books, and you are food to go. 9. Where does Mrs Funnybones’ satirical humour stem from? It comes from being teased mercilessly as a child, and a few loony genes. 10. In your mind, how old do you think yourself to be?